Everyone tries to keep their Mac tidy and running smoothly. Yet the inevitable buildup of junk, cache, and useless applications always seems to come sooner than expected. Normal diagnostic tools can only do so much to eliminate this junk and keep your Mac running like it's brand new. 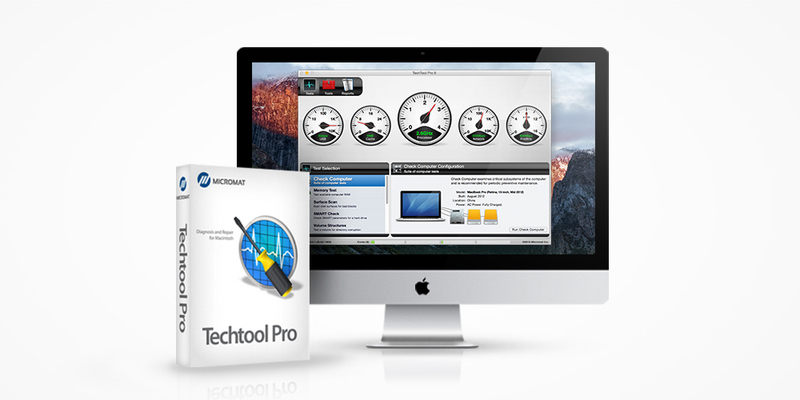 TechTool Pro 9.5 for Mac goes above and beyond the diagnostic competition, and it's only $39.99. TechTool Pro 9.5 for Mac isn't anything like your run-of-the-mill diagnostic tools. It skillfully and efficiently tests everything from the sensors to the fans, rebuilds your cache to correct slow booting, fixes misbehaving apps, ends slow browsing, and more. It can even test your motherboard, which no rival tool can do. This ultra-powerful diagnostic tool usually costs $99.99, but it's currently available for just $39.99 for a limited time.